I am creating a collogue of poster size photo's of my beautiful boys to arrange on my wall in my bedroom. I found a few of these that I wanted to share. Wonderful Kathy Scoffield you are so talented, thank you for helping us capture our families precious moments. Bear with me, I couldn't help but share all of these photos. I fell in love with my family all over again. My absolute favorite picture! Ethan has the most adorable and contagious laugh. A gift that always brightens my day! I sure love my family! This past Monday Emmett went in for his routine esophagus dilation. This is an out patient surgery that has been performed on Emmett every 2-3 weeks for the past year and a half. 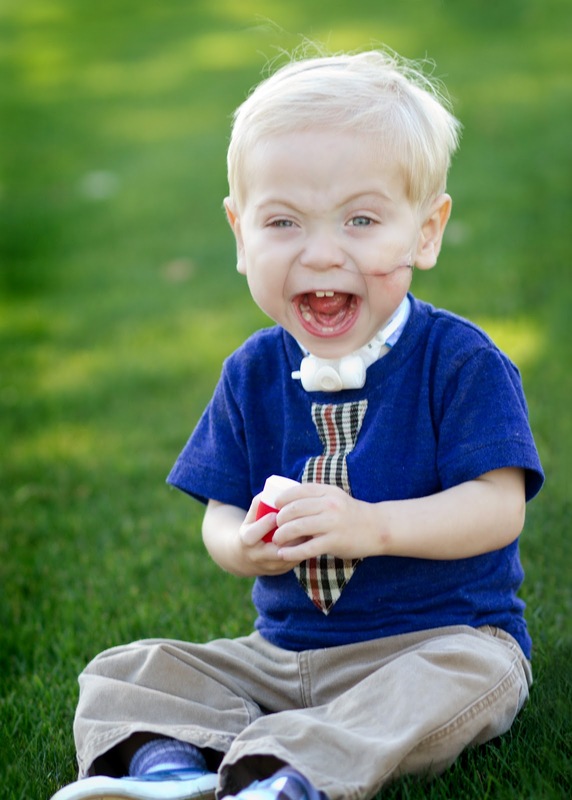 Emmett has had a partial removal of his esophagus, a portion of his stomach was used as a graft to make up the damaged and removed esophagus. 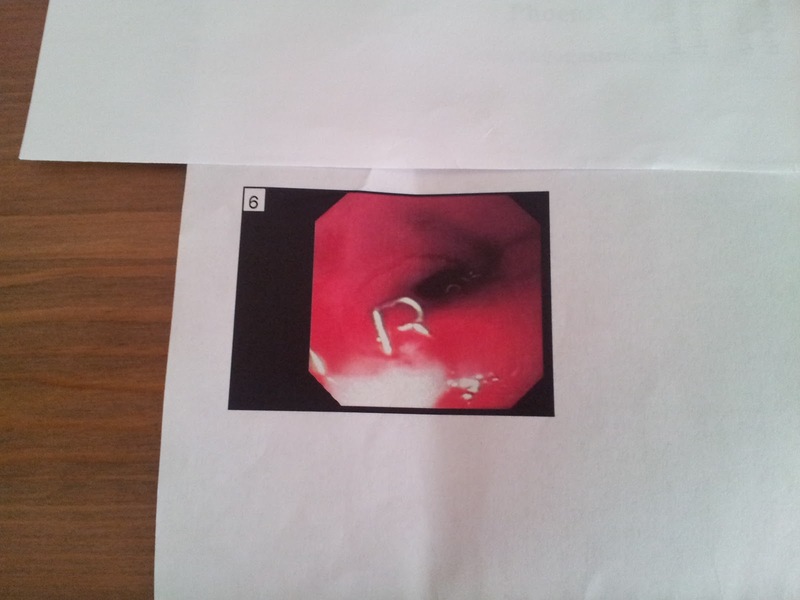 The reason for the dilation's is to open up strictures that have formed inside Emmett's throat. Strictures are usually caused by scar tissue at the repair sight. 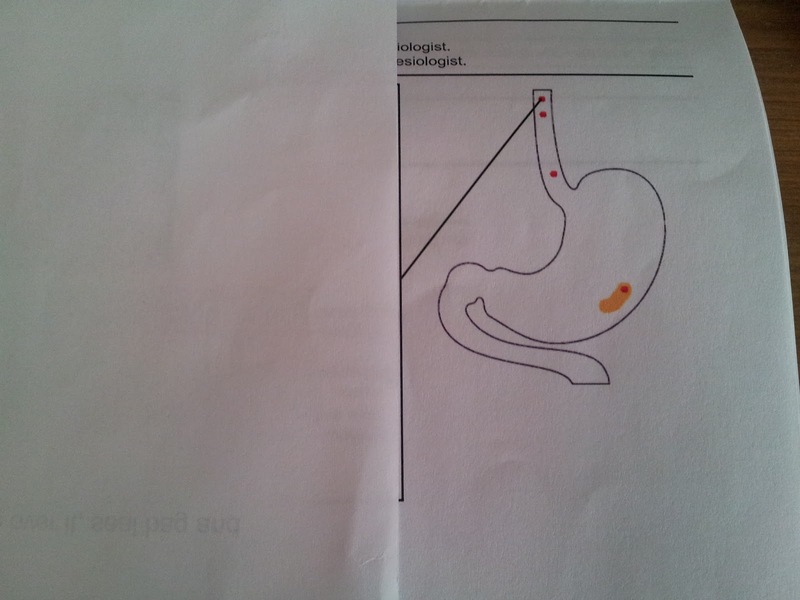 Here is a diagram of the esophagus and stomach. The 3 red dots indicate where Emmett's strictures occur. 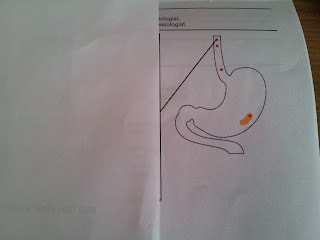 The red dot in the stomach is the placement of his g-tube. 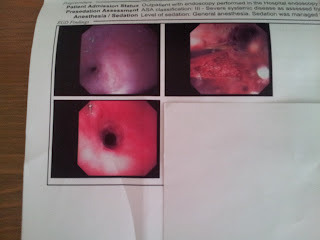 The upper left image is Emmett's esophagus right before Dr McOmber started to dilate. The lower left is after the esophagus has been dilated, which is still only about half the size it should be. The dilation process has to be performed very carefully as the tissue is still very fragile. 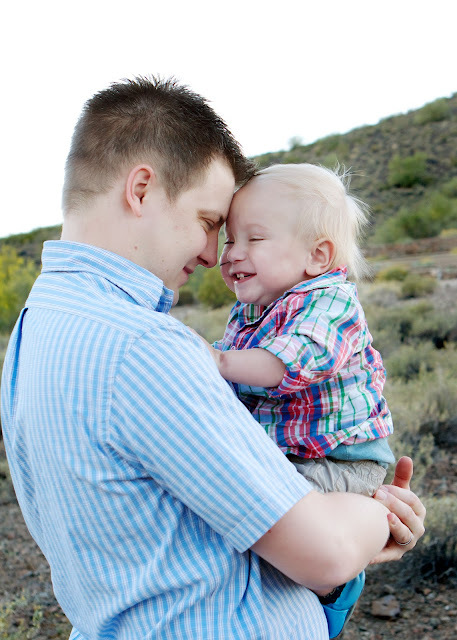 We have had a care conference here in Phoenix, Michael and I met a terrific, well experience surgeon who may possible perform surgery on Emmett, assisted by Dr Egan. We are waiting to decided on when and where the surgery will be performed until after we return from Cincinnati Children's Hospital at the end of the month. The surgery we have been discussing for a while is called a Colon Interposition. Think on the lines of a transplant. 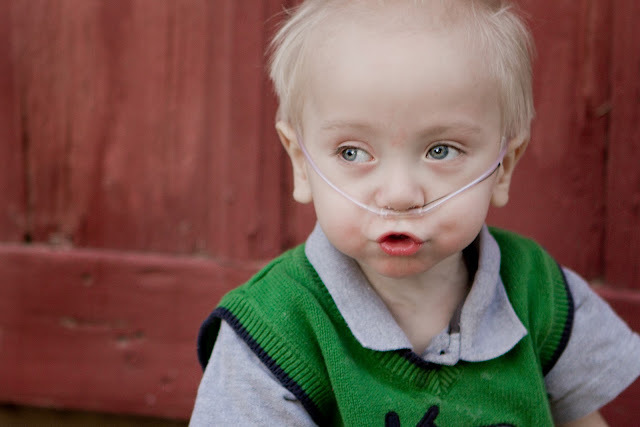 Emmett's esophagus will be completely removed and replaced by using a good portion of his colon. The colon and the esophagus have a similar sphincter like muscles that will help with the mobility to move food down to the stomach when Emmett swallows. I sigh as I think about the surgery being more invasive than those he has had in the past. 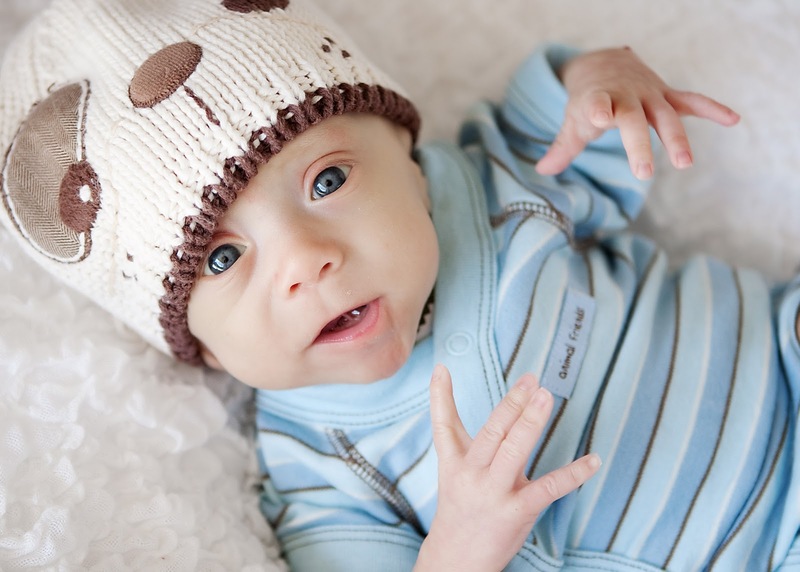 However with much thought, research, lots of praying and multiple detailed discussions with physicians, Michael and I have decided that this will be the next milestone in Emmett's care. This will give him the chance to some day be able to eat by mouth. I get the question, so why are you going to Cincinnati Children's if you might have the surgery done in Phoenix? For many reasons, Cincinnati Children's has a terrific multidisciplinary team who focus on the lungs, trachea and esophagus. 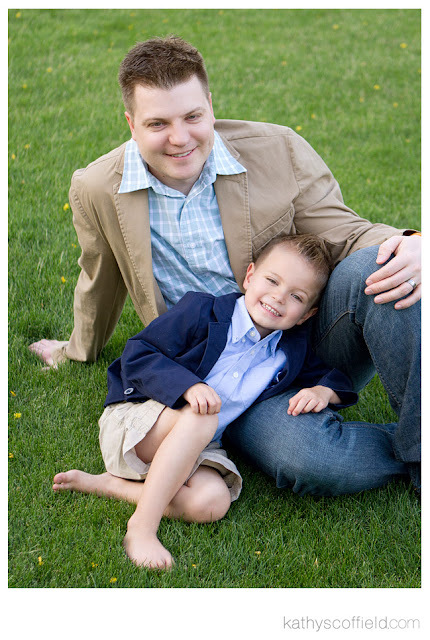 Dr Rao, Emmett's amazing pulmonologist is hoping to receive good insight on Emmett's lungs and trachea in Ohio. 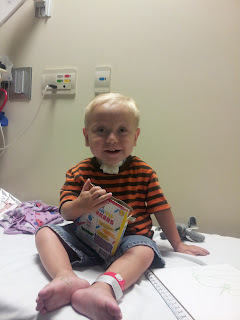 I have not spoken much about his lungs because the esophagus is kind of the blaring issue right now. 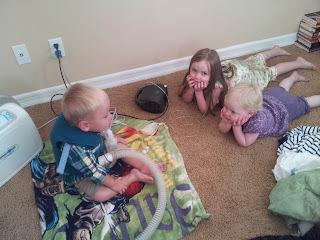 However Emmett has severely weak and fragile lungs due to the battery ingestion. We will be working with a world renown pulmonologist in Cincinnati. 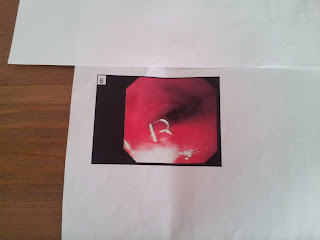 During the procedure, Dr McOmber noticed this in Emmett's esophagus. Several staples that were used during the partial reconstruction of the esophagus last year, have surfaced. Notice the letter is it indicating??? "R" for Rauch. We had to laugh about it! 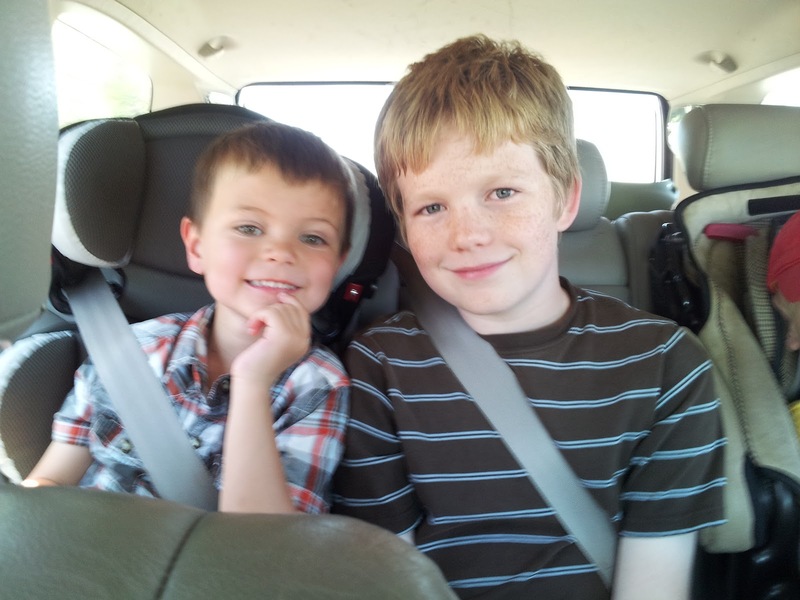 Ethan receives the best big brother award! 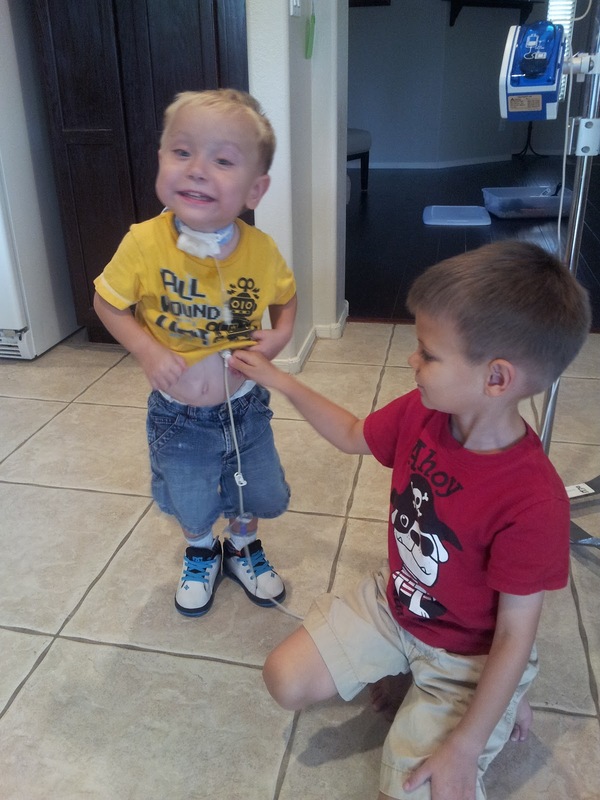 He is so kind and helpful with Emmett. Ethan watches me carefully each time I connect Emmett up to his feeding pump. 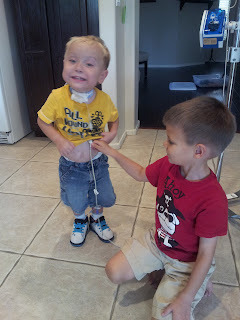 Yesterday he wanted to try and do it himself, Emmett had the giggles as I think Ethan was tickling him while trying to connect the attachment. Brothers are the best! Thank you for all of the support and prayers for our family and especially Emmett. We would love it if you could think and pray for us during our trip to Cincinnati the last week in August. Thank you, thank you! Enduring 115 degree weather here in Phoenix, is not something to brag about, however surviving it is another thing. We are so lucky to have a fantastic water park not to far from our home. By persuasion from grandparent's, we decided to get season passes and it was worth every penny. 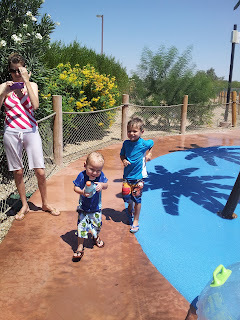 The water park has a humongous "splash pad" that both the boys LOVE. 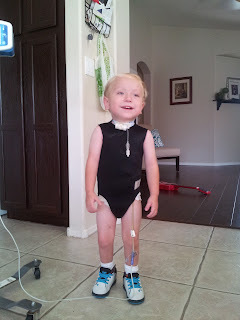 I have to be super careful with Emmett around water because of his tracheostomy. 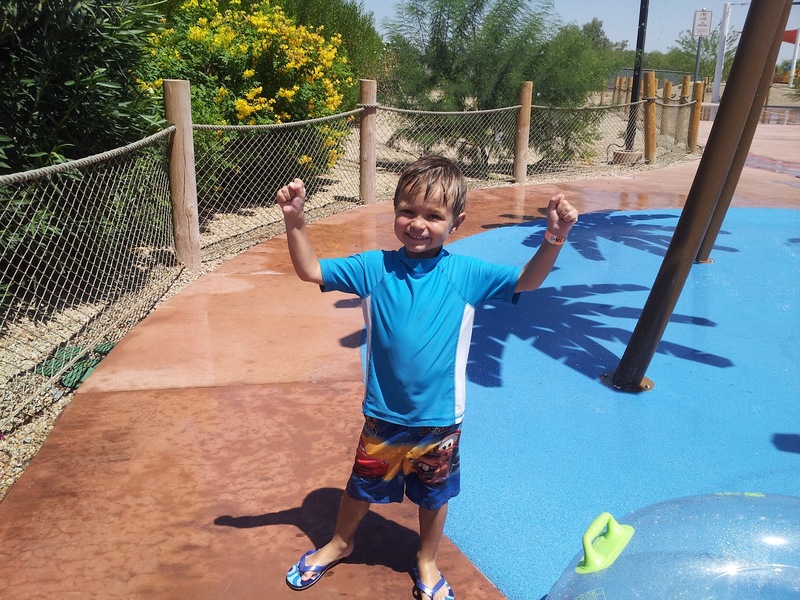 The splash pad is perfect for him to run around and cool off with out being submerged in a pool of water. Ethan showing off his muscles at the splash pad. Emmett stole Ethan's Gatorade bottle and sent him on a wild goose chase. 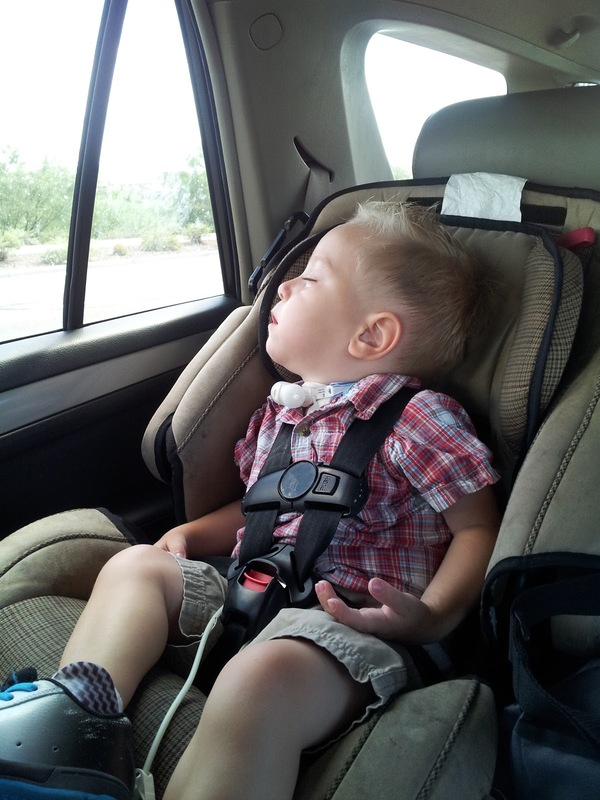 Emmett fell asleep in the car on the way home from a Dr's appointment the other day. He was so adorable I could not resist taking and sharing this picture. He is becoming so big! On Monday Emmett went in to PCH for his last esophagus dilation before our trip to Cincinnati, OH. 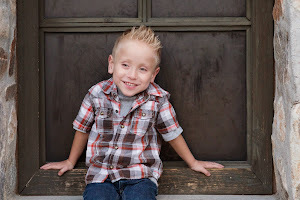 Emmett will be evaluated in the Areodigestive Program at Cincinnati Children's Hospital. We are leaving in a week and a half. My nerves are starting to kick in. I am so grateful and honored to write a guest post on the Safe Kids USA blog today! I appreciate their partnership in helping our family share Emmett's story and to hopefully prevent another child from suffering from ingesting a button battery. By educating parent's and caregiver's about this hidden danger, we hope that they will take action and secure electronic devices that house these tiny batteries. 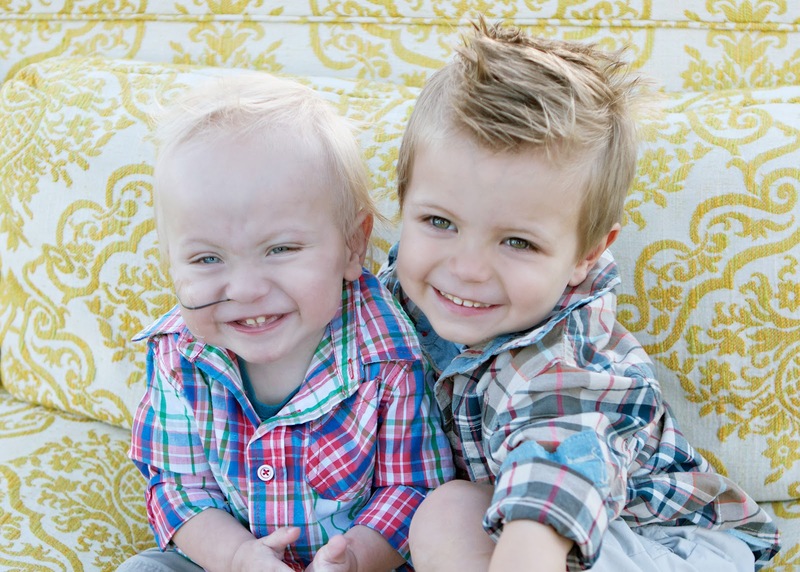 Thank you to all of those who help us fight along with Emmett in saving other children's lives! Start off by back tracking through the past month. As I am sure you all can relate, life just flies by and I am grateful for the chance to blog. It helps me to stop, reflect and make an account of the joys that my daily life brings. 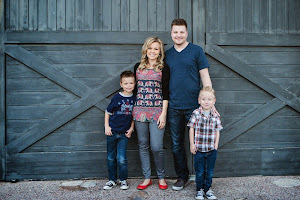 In July, the Rauch family set off on a voyage to beautiful San Diego, CA. The road trip is only about 6 hours from Phoenix to San Diego. It is well worth the drive to enjoy the 70 degree weather and sit on the beach. We spent our time going on walks at the park, rented a surrey bike and rode around Mission Beach, enjoyed the sand at the coast of Del Mar. Made Ethan's dreams come true by spending a day at Legoland (I went through an entire bottle of hand sanitizer on the boys hands). 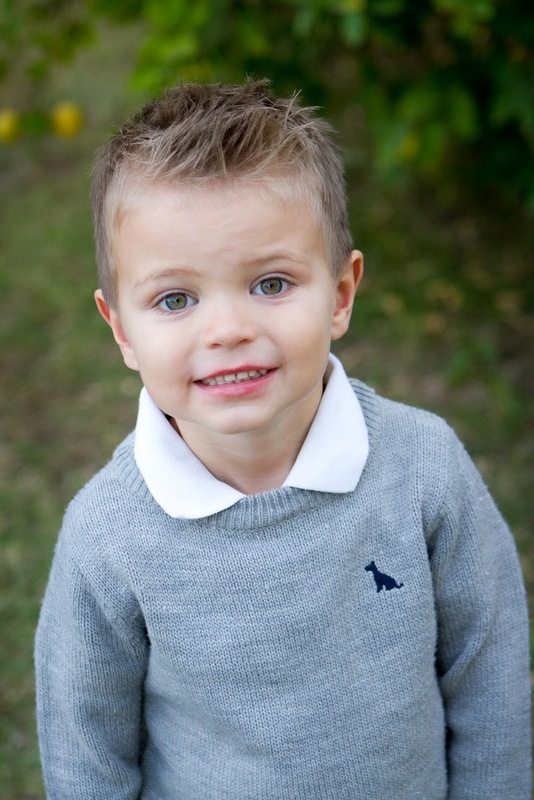 Emmett is on strict RSV restriction's during the fall, winter and spring months, high cold and flu seasons. He is not able to go into the grocery store or large populated areas, due to the high risk of catching a respiratory infection. 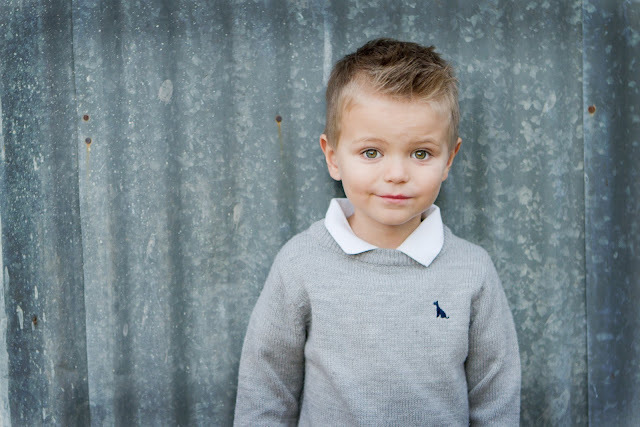 If Emmett caught a respiratory infection such as a cold or flu he would end up in the hospital. During the summer months we are able to be a little more free about where Emmett is able to go. Near the end of our trip, we headed up the coast to visit my sister, Liz and her beautiful family. I had to share this picture. 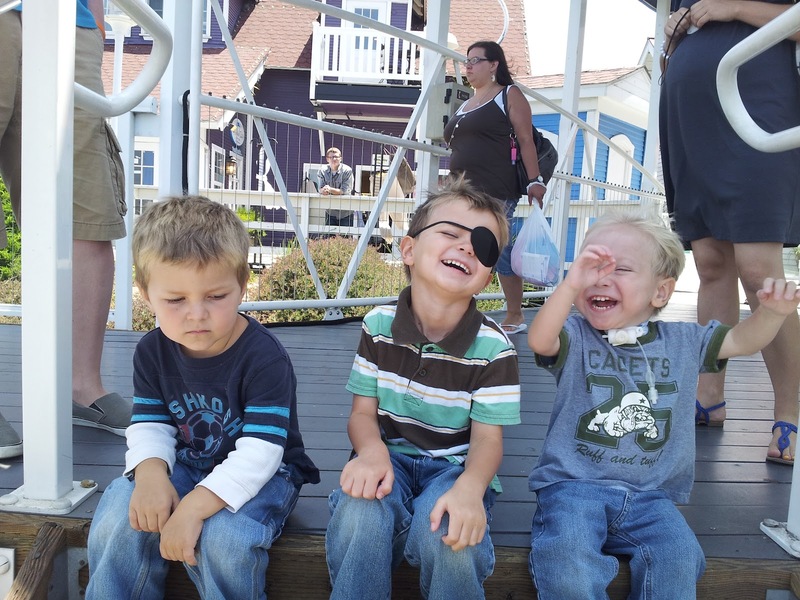 My nephew Benny is on the left, Ethan and then Emmett. Clearly Benny didn't get whatever joke the two boys were cracking. Pure laughter! This picture still makes me giggle. After many hugs and kisses and a good bye to my sister, we headed east to Temecula to visit Michael's brother and his wonderful family. 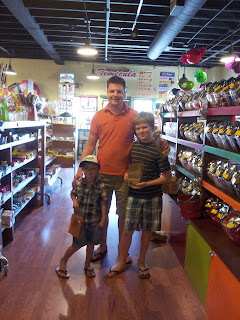 We walked around the down town streets and stopped off at the candy shop. Ethan, his cousin Nicolas and Michael. Emmett was kindly entertained by is adorable cousin's Rachel and Brenna, while receiving his twice daily CPT vest treatment. After coming home and adjusting to the lovely 115 degree weather that Phoenix so kindly greeted us with, we celebrated Michael's birthday. 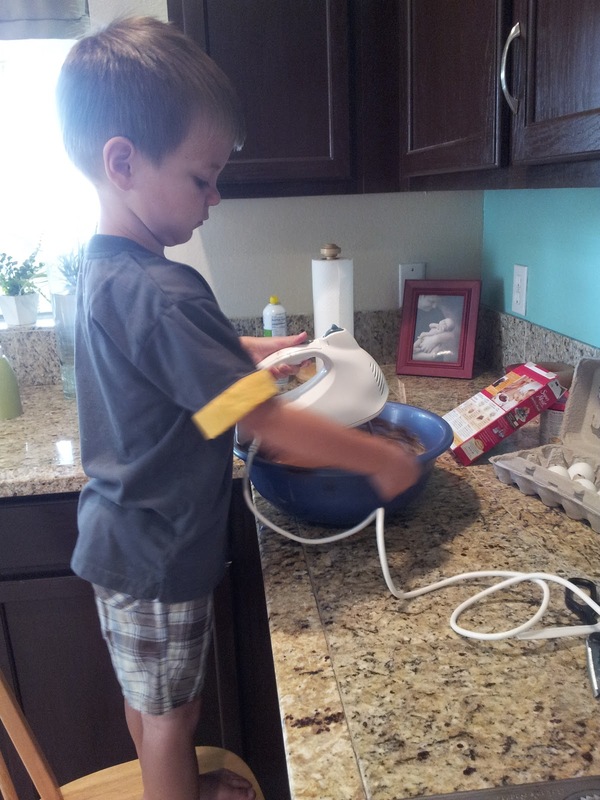 Ethan is my su-chef, he enjoys helping me around the kitchen. We wanted to make his daddy some cupcakes. 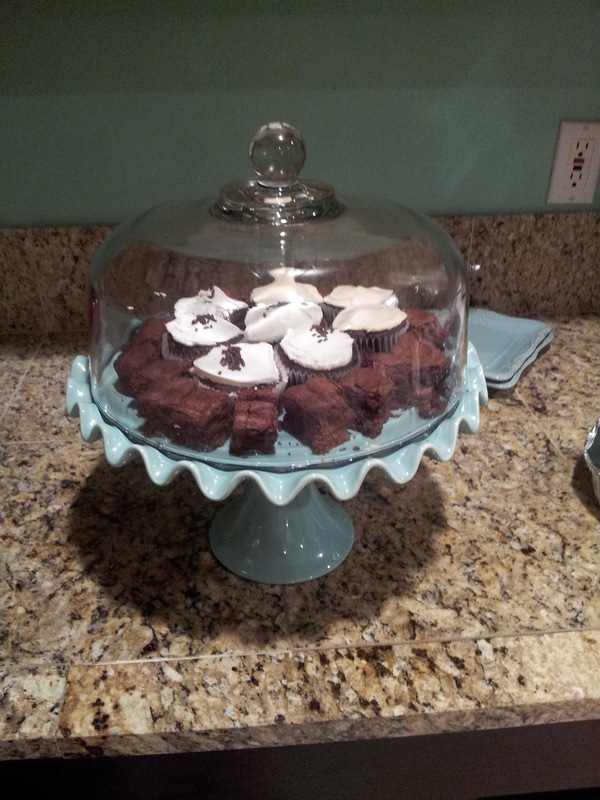 They were delicious!!! I have tried to create a schedule for the boys during the summer months. 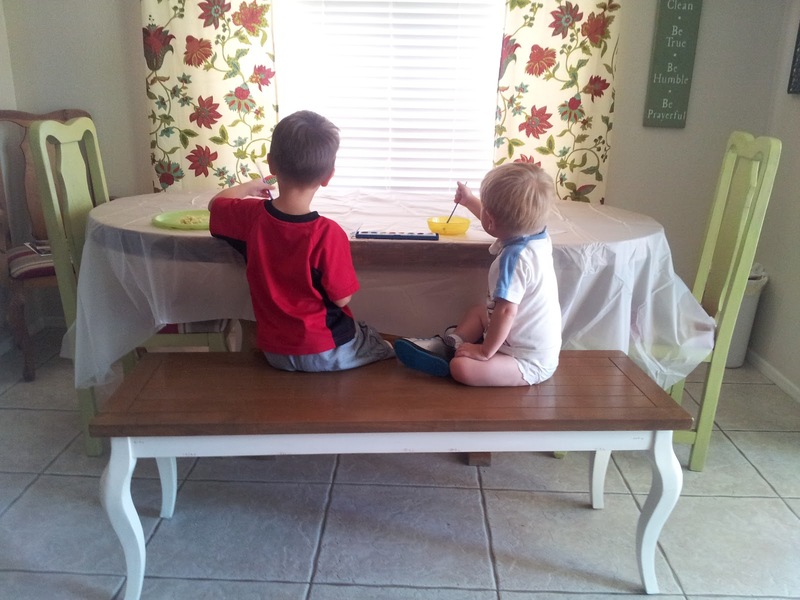 Each day the boys can pick two craft activities they would like to do. The most popular in our home is painting with water color's. We are so blessed to have a terrific public library with a great state of the art children's center. 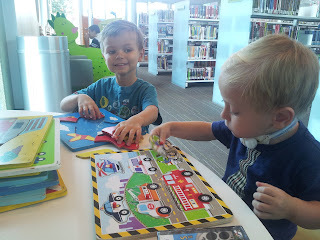 The library is filled with books, audio CD's, movies, computers, games, developmental toys, train set and much more. The boys love to spend a few hours each week exploring the library. 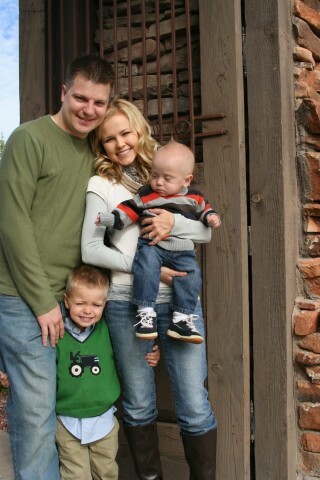 I sure enjoy my life with my beautiful Family! I thank my Father in Heaven for these wonderful moments. No, Emmett is not prepping for Jazzercize ... He is sporting his new orthopedic SPIO (stabilizing pressure input orthosis) vest. The purpose is to provide deep sensory pressure. 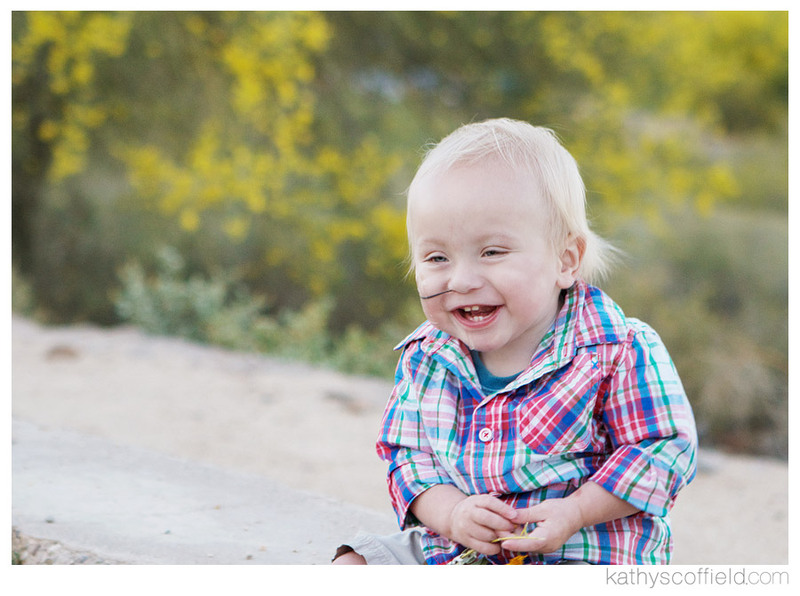 Emmett has been hospitalized for almost 50% of his little life. Bed bound, Emmett has been deprived of crucial gross motor and sensory development. I am a beginning student and am soaking in all of the information I can about sensory development. Basically the body has 5 senses. 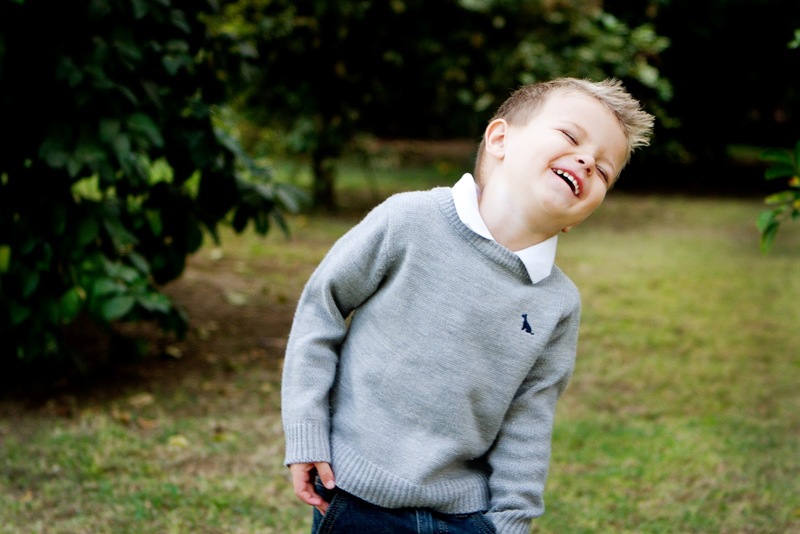 The sensory development or sensory processing is how the bodies nervous system accepts the five senses and its response to them motor or behaviorally. Emmett's main sensory concern is the proprioceptive nerve receptors, his body has a hard time understanding its balance in its surroundings. The SPIO vest snugs him tightly to give him a secure feeling, kind of like a leotard. He loves it! Some day's I can hardly get it off of him. 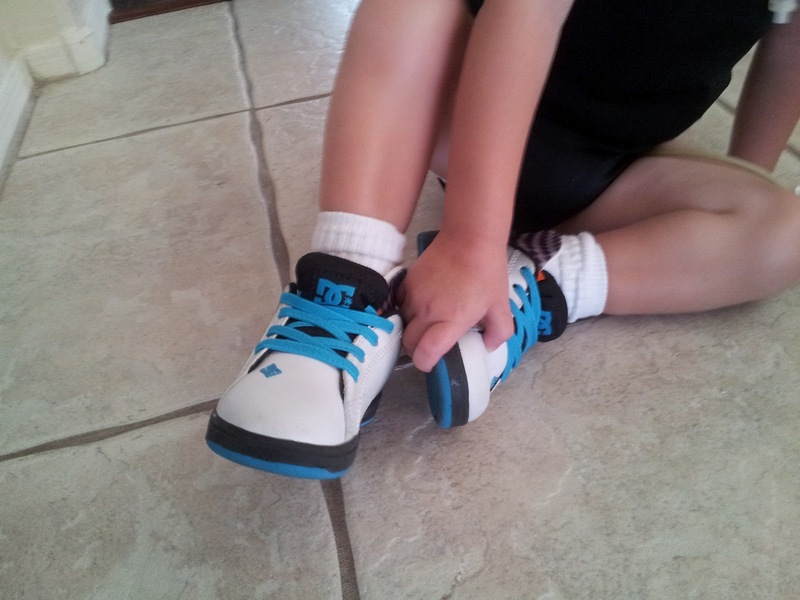 Emmett is the cool kid on the block, rock'in his DC's. The brand DC creates their shoes wide and deep enough to house the orthotic's SMO's (Supra-Malleolar Orthosis). 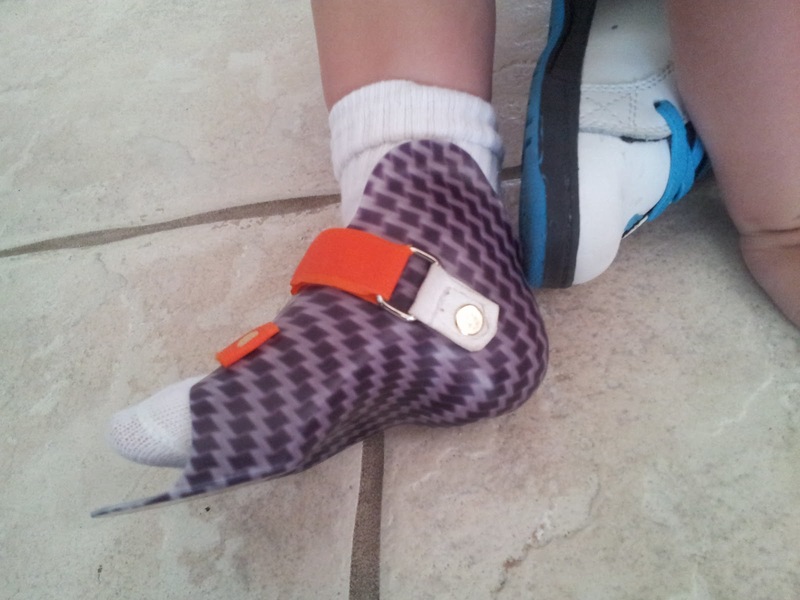 The SMO is used to help correct children with low muscle tone in the foot and ankle. Again, Emmett was in a hospital bed during a crucial gross motor development time. During the first and second year the body grows and develops strength throughout the muscles, tissues, bones and nerves. Emmett has no arch and walks on the sides of his feet. He also externally rotates which puts negative pressure on his hips and back. 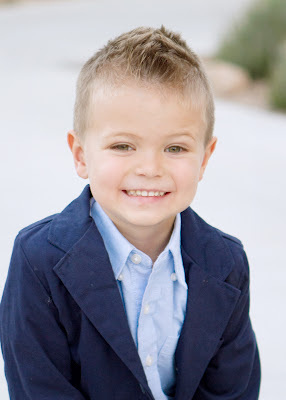 His wonderful physical therapist, miss Jen, suggested due to all of Emmett's abdominal surgeries, he is overcompensating by using muscles that don't require him to strain his stomach muscles. Amazing how the body so interconnected. 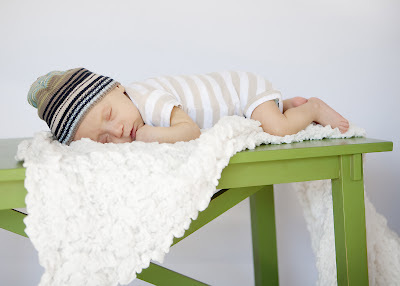 Our goal is to help Emmett strengthen and feel secure about using his little tummy muscles. To do this we are starting with his feet. Emmett LOVE"s his new footwear. Every morning, he ventures off into his room, fetches his orthotic's and tennis shoes and asks for me to put them on. I have never seen Emmett run so fast and with so much control. It is incredible! 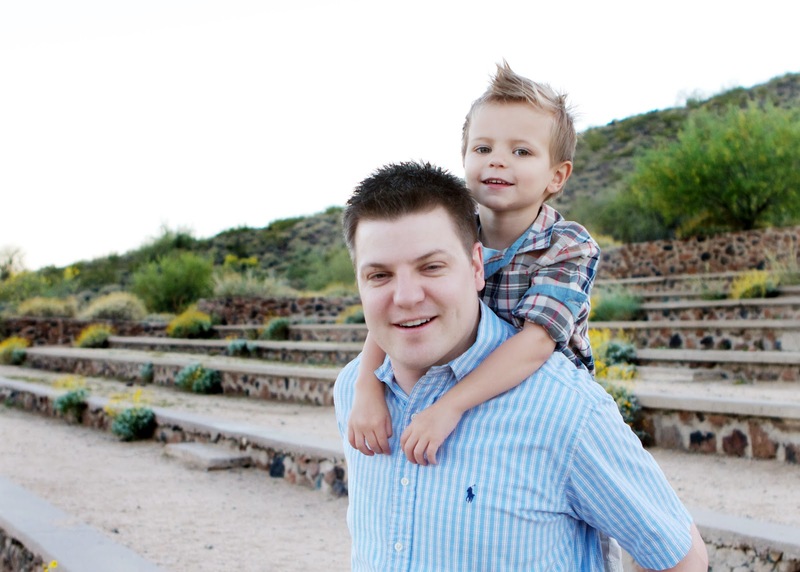 Meet miss Barb Boutin, Orthotic Specialist and co-owner of Orthotic Specialists of Arizona. Barb is the most kind and caring individual. 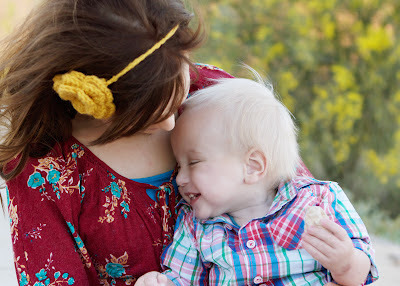 She is the creator of Emmett's SMO's and also recommended along with miss Jen (physical therapist), for Emmett to be treated with the SPIO vest.